In this chapter, factory planning and process design principles and models are discussed. It starts with an introductory case-study considering factory planning issues at an e-car manufacturer. 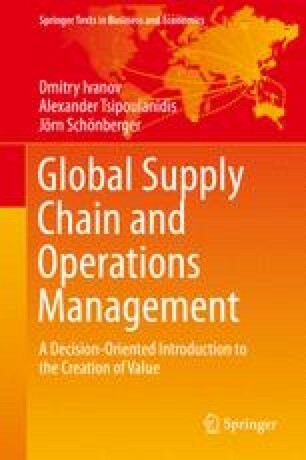 At the beginning, the role of factory planning in supply chain and operations management is discussed. Next, factory planning processes are presented. Subsequently, the role and methods of capacity planning are considered. Furthermore, options for process flow design are elaborated. Finally, lean production systems are presented and modern trends, e.g., Industry 4.0, are discussed. The chapter is accompanied by an E-Supplement providing additional case studies, Excel templates, tasks and video streams.